Read the lastest realease note of Adafruit firmware here. Next make sure your CC3000 is wired to your Arduino and can successfully run CC3000 sketches like buildtest. Adjust any of the pins to communicate with your Arduino just like you would to run build test. 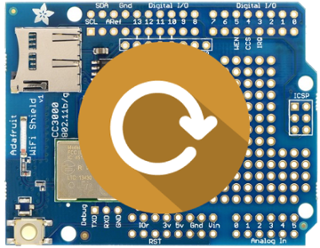 Want to build awesome IoT projects using this and other modules? Sign up for a Ubidots account to get started. This article originally appeared in Ubidots' Blog on January 20, 2016.